She thought a moment, then shook her head. of a small flag that had fallen over. She looked at me, and I nodded. We sat there for a moment, watching as the fabric of stars and stripes waved in the evening breeze. Hugging her knees to her chest, my daughter surveyed the hilly grass, and the long shadows stretching away from the setting sun. “There sure are a lot of little flags out there,” she said finally. After a moment, she stood and brushed grass from the seat of her pants. “C’mon, Dad,” she said, and reached for my hand. 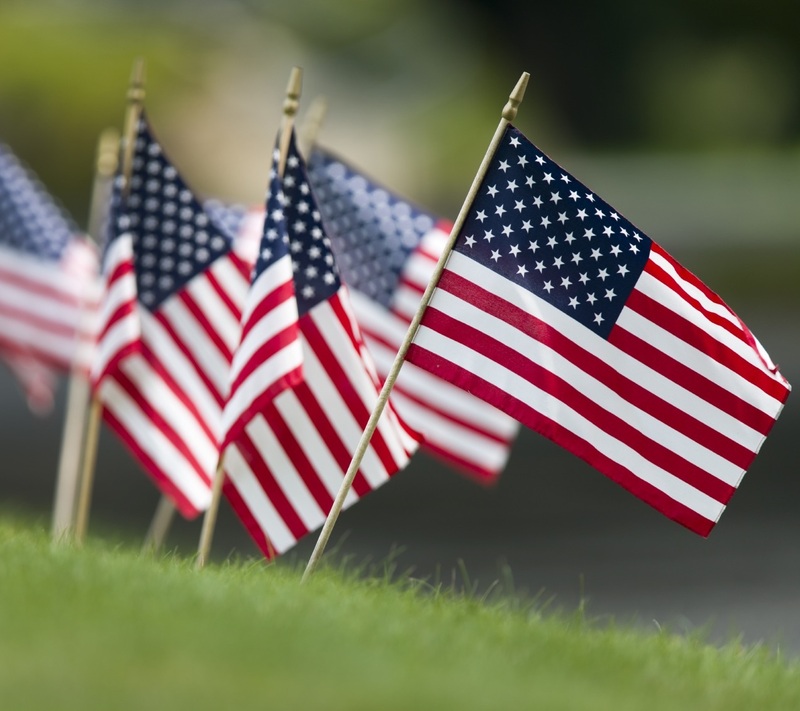 This Memorial Day, take time to notice the little flags. There are many. When you are being funny, I think you might just be the funniest man I’ve ever “met.” But when you are being serious, you never fail to touch my heart. Because you get it. Every time. Thank you for making sure the rest of us don’t forget the things that count. A blessed and thoughtful Memorial Day to you, Ned. And some happy time with your family, as well. ” . . . a lot of little flags out there,” indeed. And all of them worthy of our heartfelt thanks. Thank you so much for the kindness, Marcia, and for the kind of heart that “gets it” too. Thank you Ned. Nicely said. I bet your children stood for the flag at the parade too. Our local Cemetery is just beautiful today. Such a touching story. 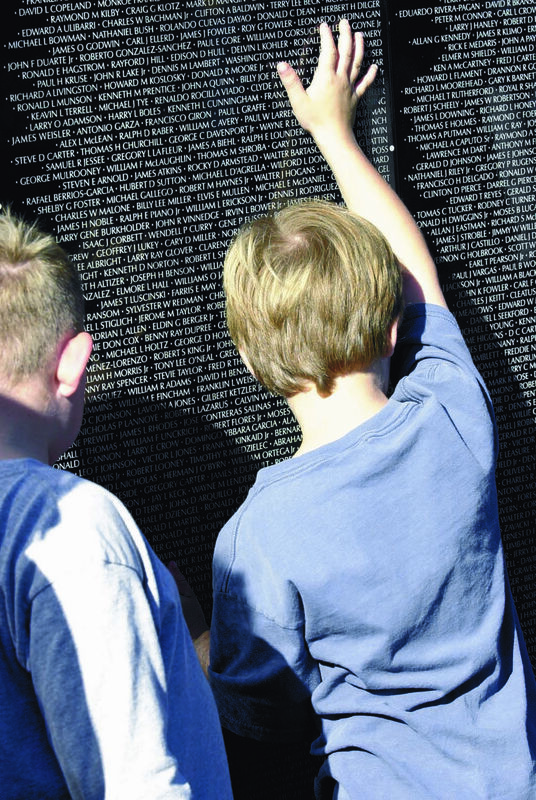 Our little ones need to know what their freedom cost and it’s up to us to see that they do. Your so very right about our obligation as parents to make sure our children remember where their freedoms comes from. Thanks for sharing that thought, Laurel. War is not healthy for living creatures, but some of the times when we have gone to war, it has saved the earth from tyranny, although not in the last 71 years. Regarding the last “just” war (World War II) , your words to your daughter are memorable. That means a lot, Allan — and I couldn’t agree with you more about the last “just” war. Thank you for this beautiful tribute to those who have fallen. Understanding the sacrifice others make is an important lesson for all our kids to understand. It makes them compassionate, which is a quality that’s@ getting harder and harder to find. I wish more people would teach their kids the significance of those little flags. Sometimes it seems like too many have forgotten, and they take what they have for granted. Especially those who now act like people who serve are evil killers, and burn the American flag in protest. It makes me worry about the future of our country. It’s the “entitlement” attitude our society has adopted. It scares me, too.